This collection of photographs uniquely captures the essence of Ireland, both traditional and modern. The exclusivity of each print is borne out by the fact that, irrespective of size, once the limit of 250 is reached, the negative is destroyed. 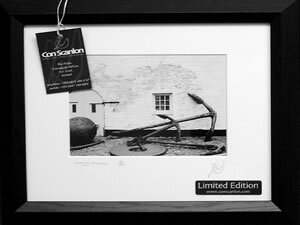 Each print is available either framed or unframed and comes authenticated with a limited edition Certificate. Printed on double weighted fibre based paper, each individually handprinted image comes finished with a bevelled mount (over-matting) and is signed, stamped and numbered.